Don Aqulino invited us to join on an expedition up river to check on his horses which he leaves up there in higher pastures over the summer. 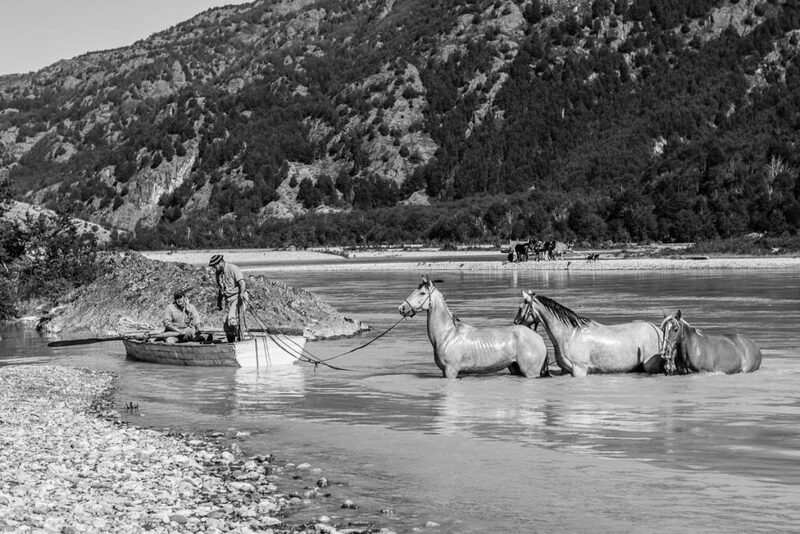 At the start of the expedition we had to cross the river Baker and swim the horses across. From here we started a three-day ride up to the higher pastures. Having ridden very little in my life I was far out of my comfort zone and being on a horse scrabbling for purchase on slippery rocks with a fifty meter drop to one side was not something I got used to quickly! Having spent most of his life in the saddle Don Aqulino struggled to understand my trepidation!